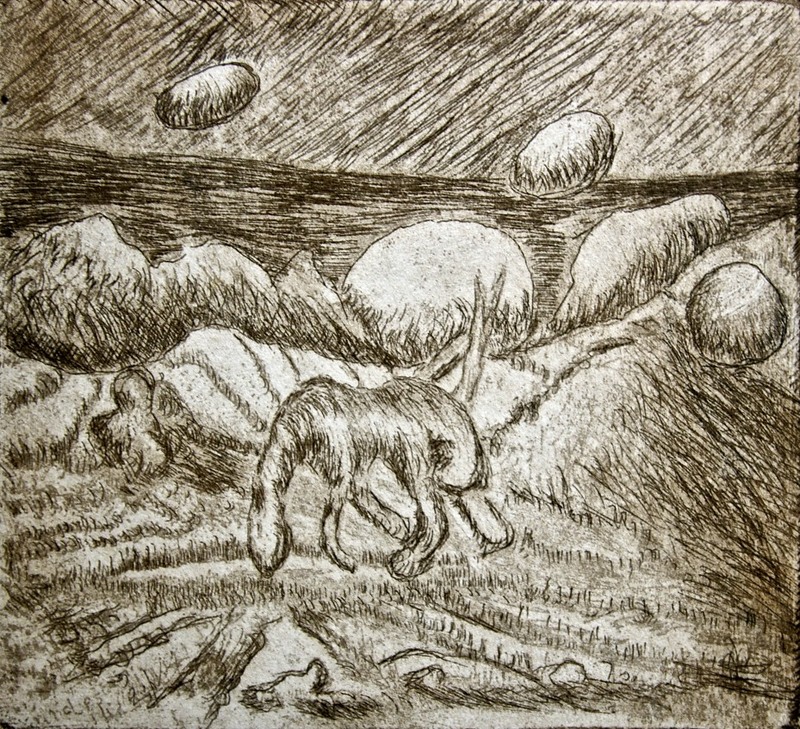 Deer at Ancient Alcohol, etching and aquatint, 14.4 x 20.6 cm, edition of 14. 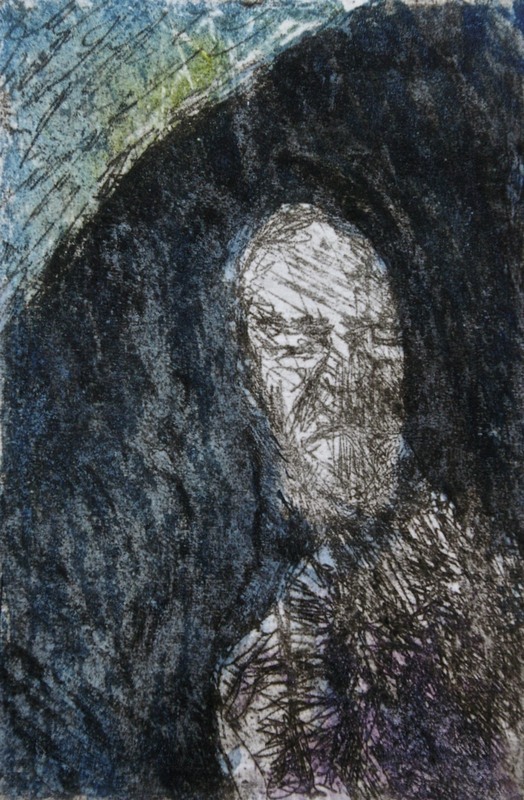 Traveling Soul, etching and aquatint, 20.8 x 29 cm, edition of 30. 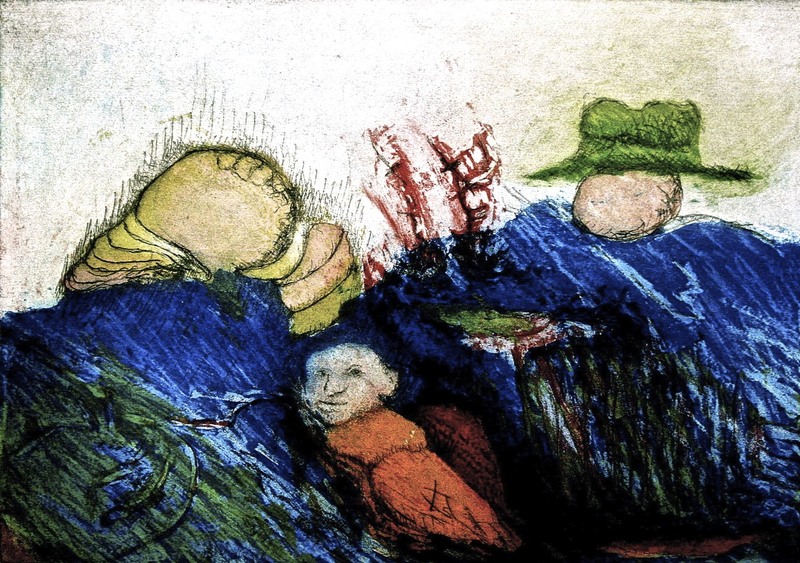 Magnetic Fields of the Ocean, etching and aquatint, 20.8 x 29 cm, edition of 50. 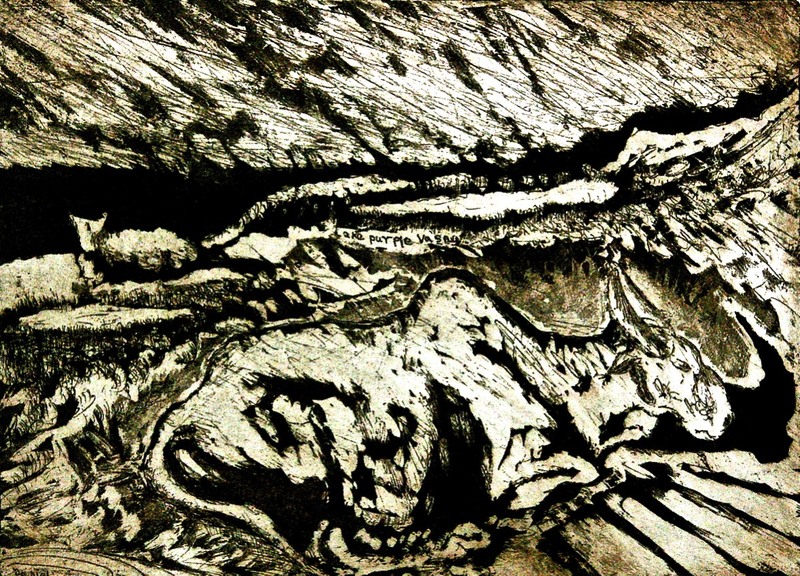 Organism, Ocean Meets Land, etching, mezzotint and aquatint, 29.5 x 41.5, edition of 14. 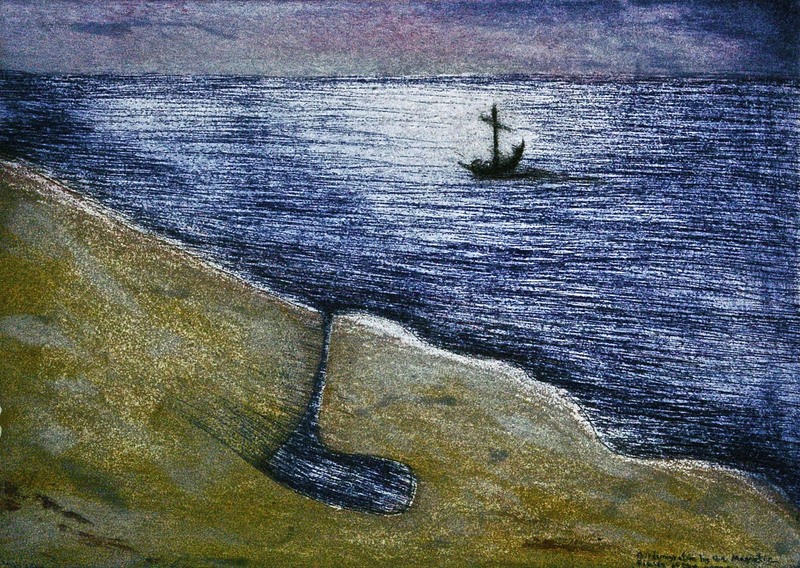 Sleep Variation, Ocean Meets Land, mixed media on paper, 50 x 70 cm, (public collection). 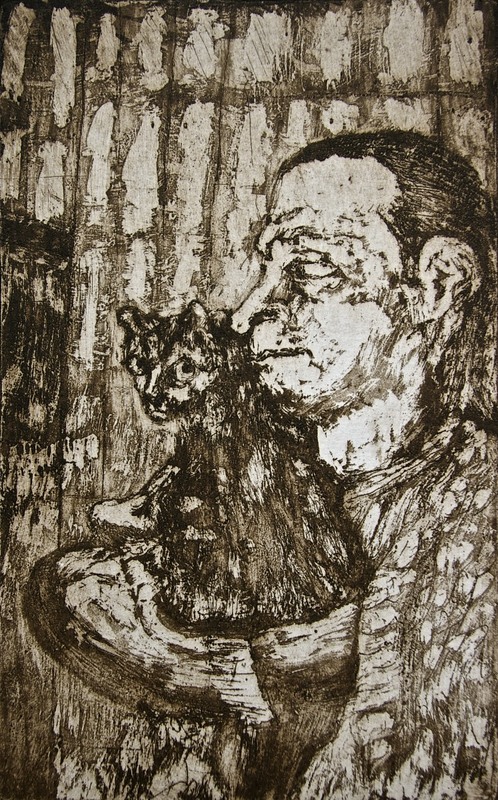 Man and Cat by the Sea, lime stone lithograph, 28 x 40 cm, edition of 2. 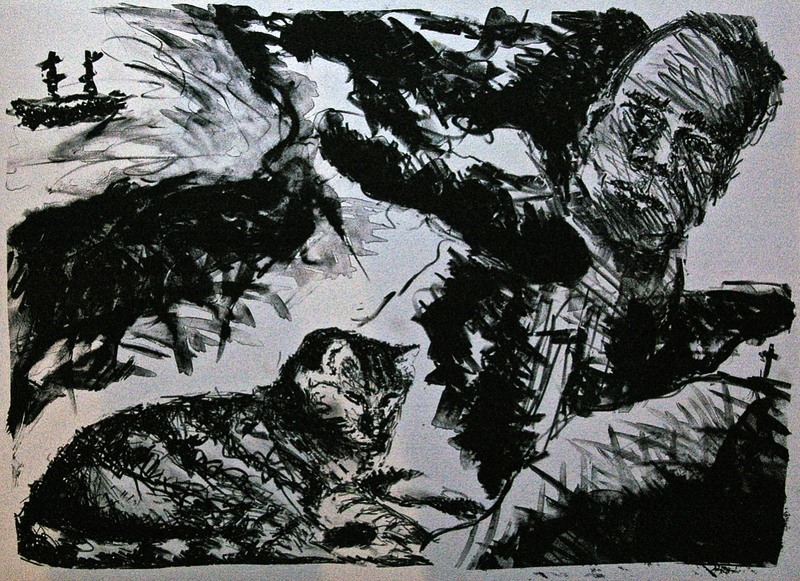 Experience, lime stone lithograph, 38 x 50 cm, edition of 21, (reduction method on the stone, only 10 are fully done with colors). 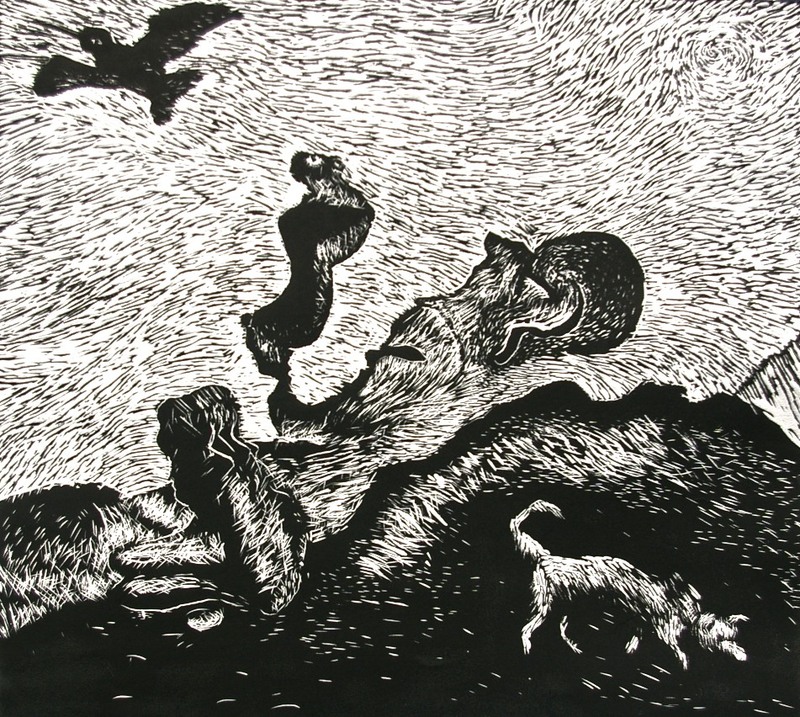 Ancestral Inheritance, lime stone lithograph, 36 x 50 cm, edition of 2. 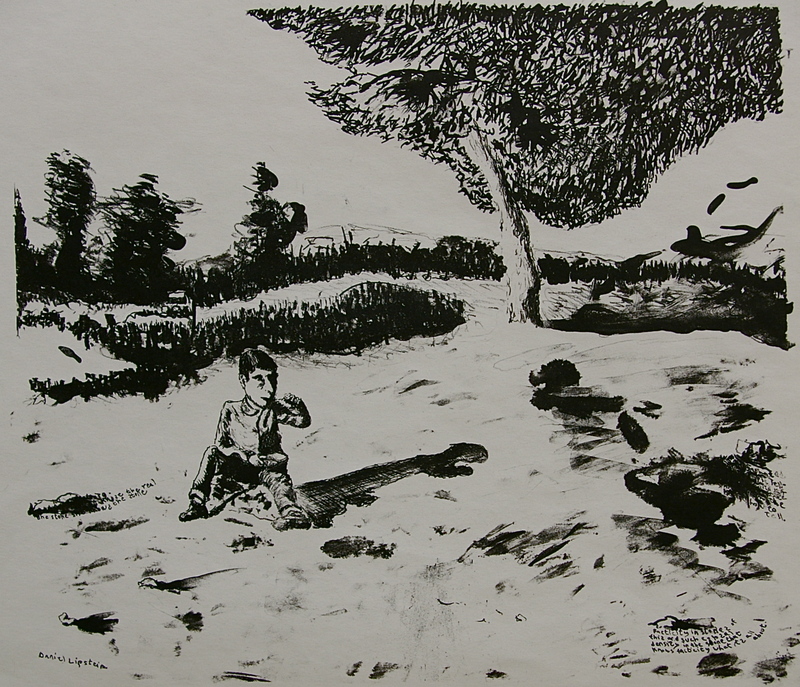 Hair Cut, lime stone lithograph, 33 x 23 cm, edition of 6. 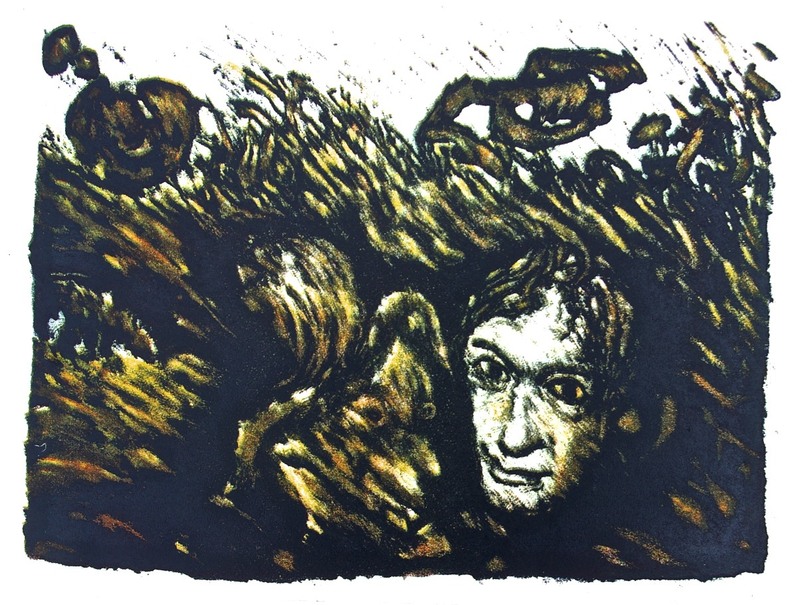 Boy and Toy Dog, lime stone lithograph, 19.5 x 29 cm, edition of 5. 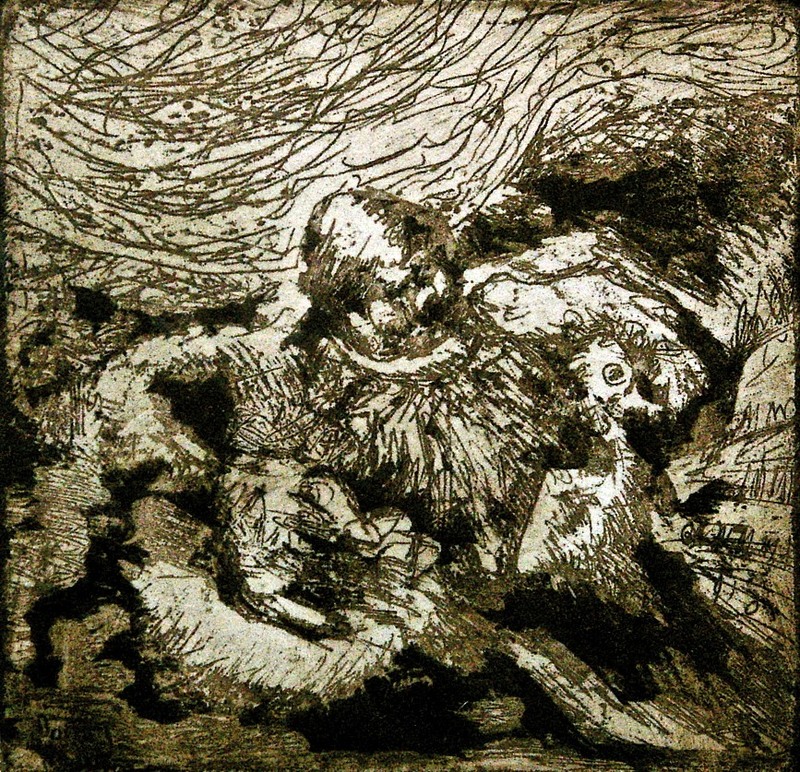 Imaginary Landscape with Fish Whispering Into a Head of a Man, etching and aquatint, 10 x 50 cm, edition of 50. 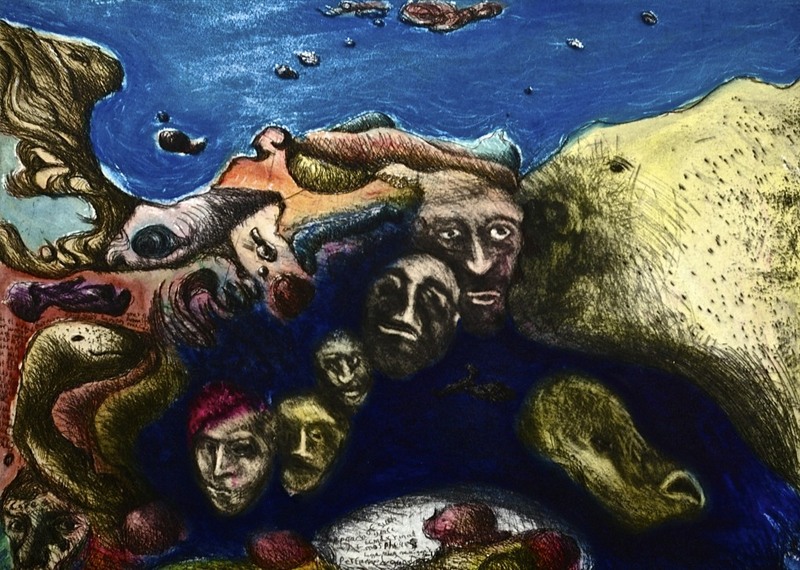 Aurora, Imaginary Composition, Warsaw, mezzotint, 7 x 21, edition of 30. 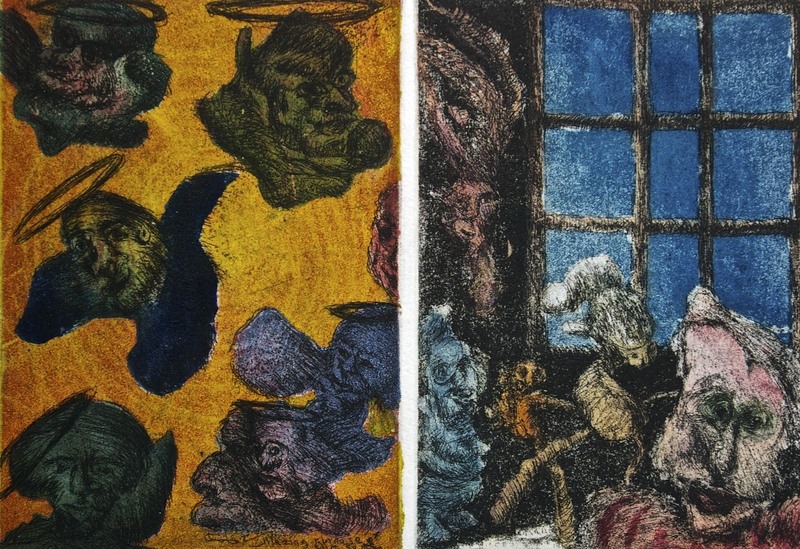 Blazing Furnace of the Saints, Cold Window of the Insane, etching and aquatint, 14.4 x 21 cm, edition of 21. 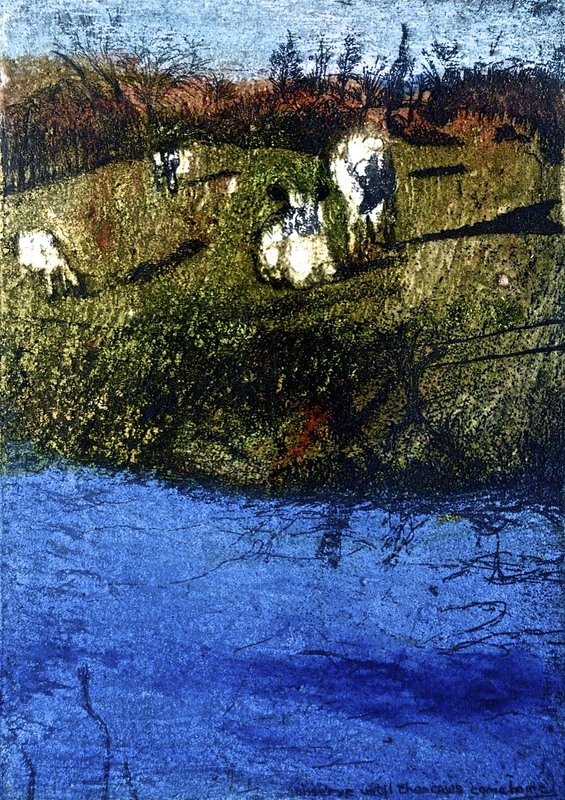 Bull and Cow, etching and aquatint, 15 x 19.5 cm, edition of 50. 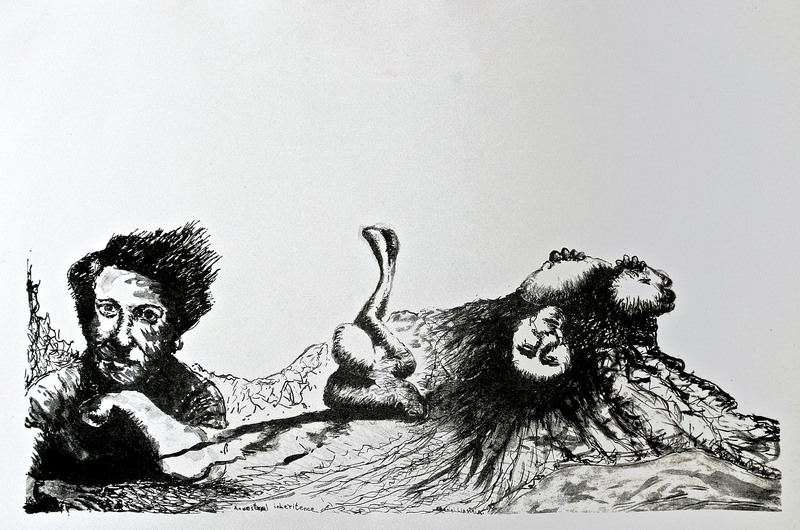 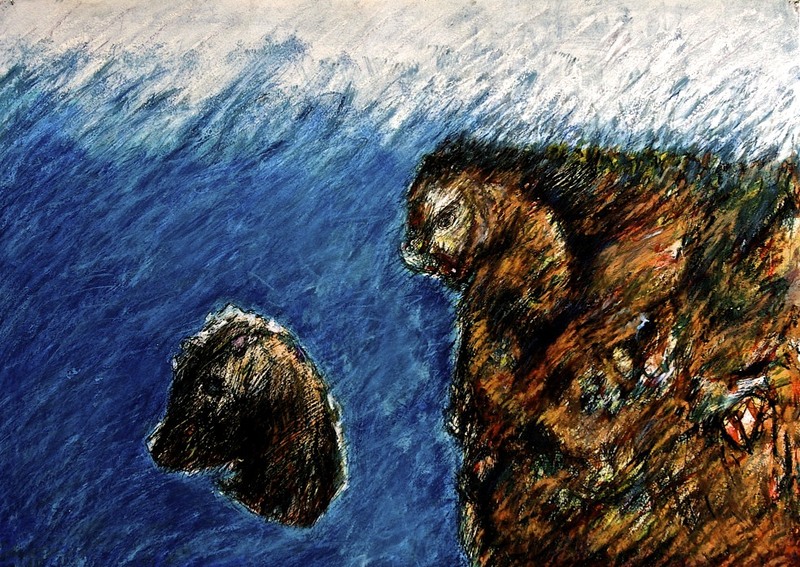 The Conversation, etching, 20 x 40.5 cm, edition of 30. 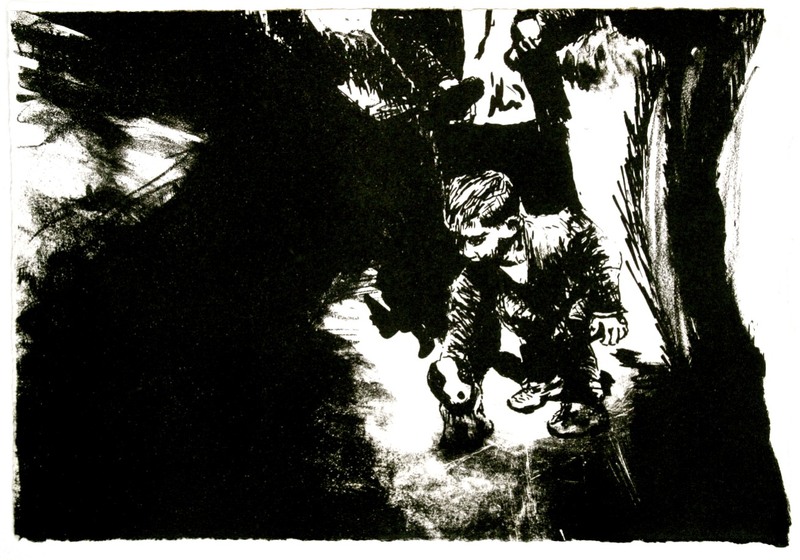 Spinelight, linocut, 50 x 56 cm, edition of 20. 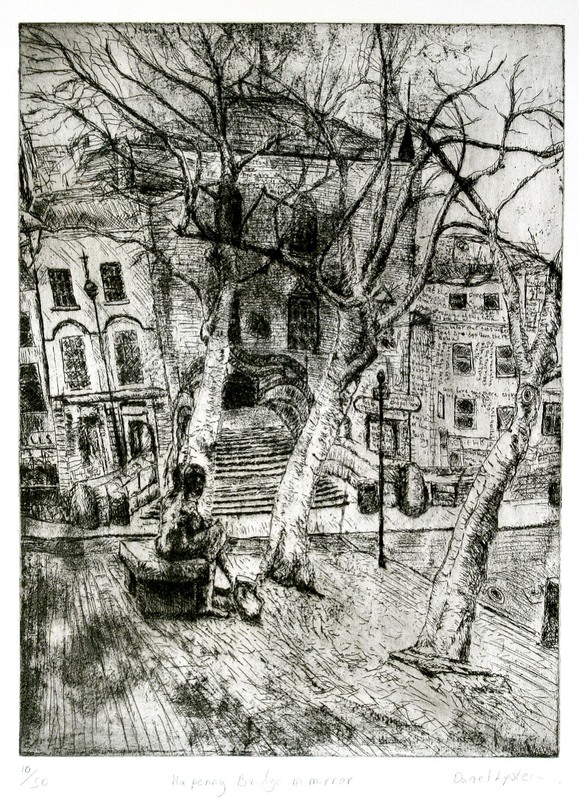 Ha’Penny Bridge in Mirror, etching and dry-point, 40.5 x 30.3 cm, edition of 50. 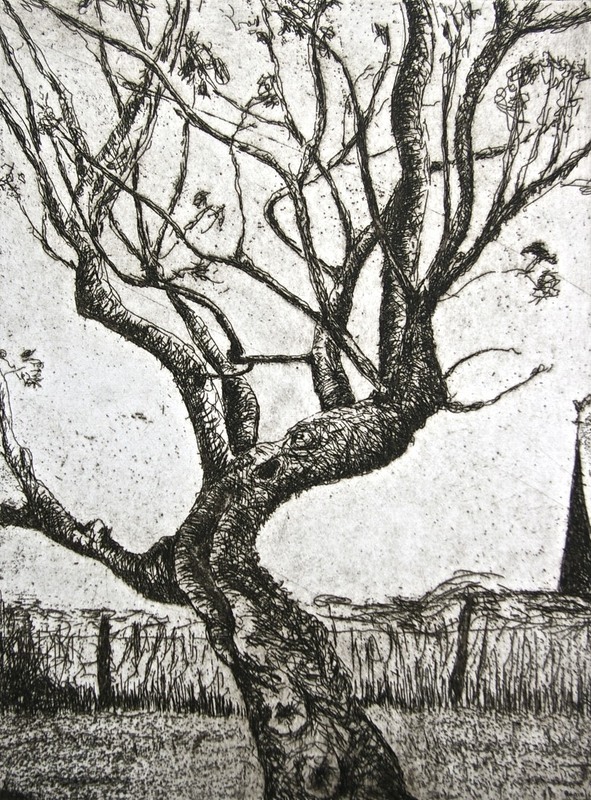 Apple Tree 1, etching, 21.5 x 16 cm, edition of 50. 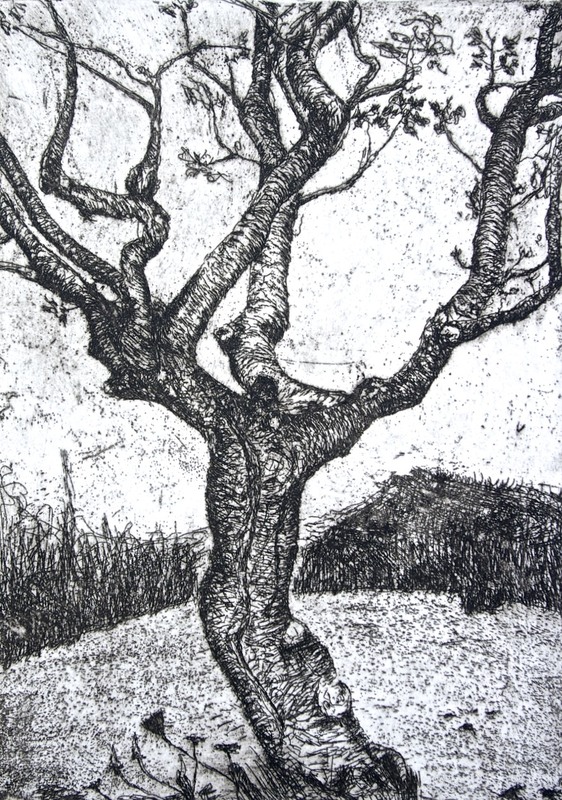 Apple Tree 2, etching, 20.5 x 14.7 cm, edition of 50. 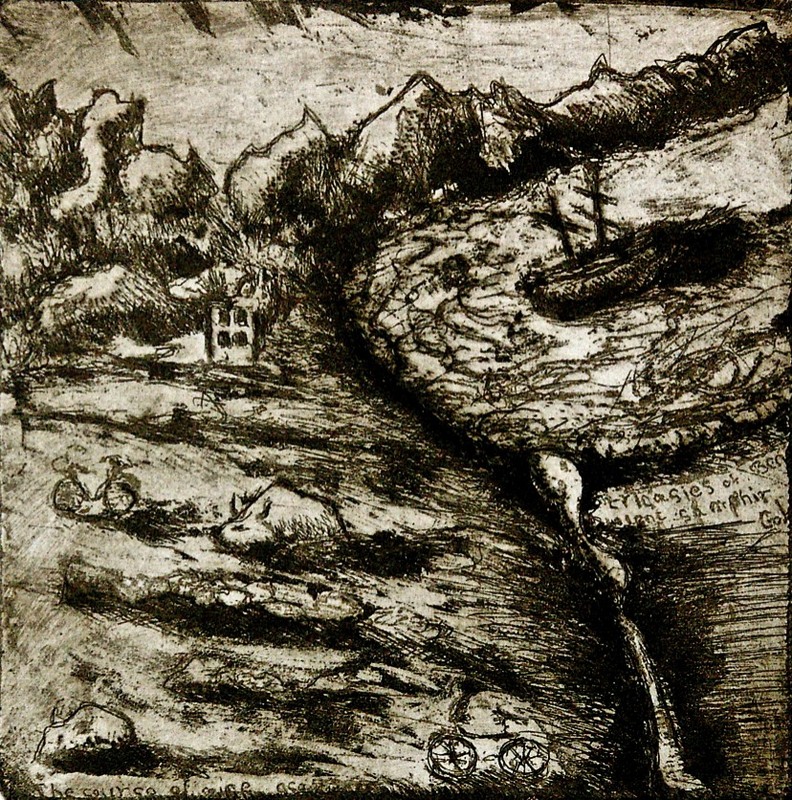 Watercourse, etching and aquatint, 9.5 x 9.5 cm, edition of 50. 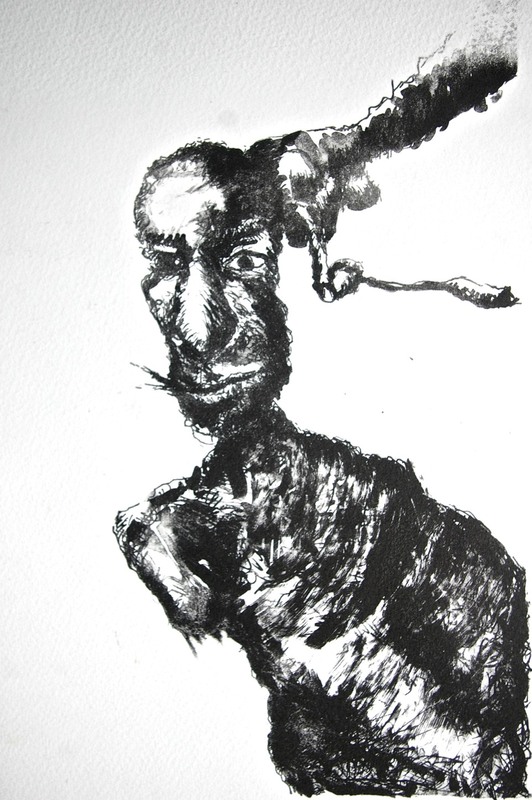 Man and Bird, etching and aquatint, 9 x 9 cm, edition of 50. 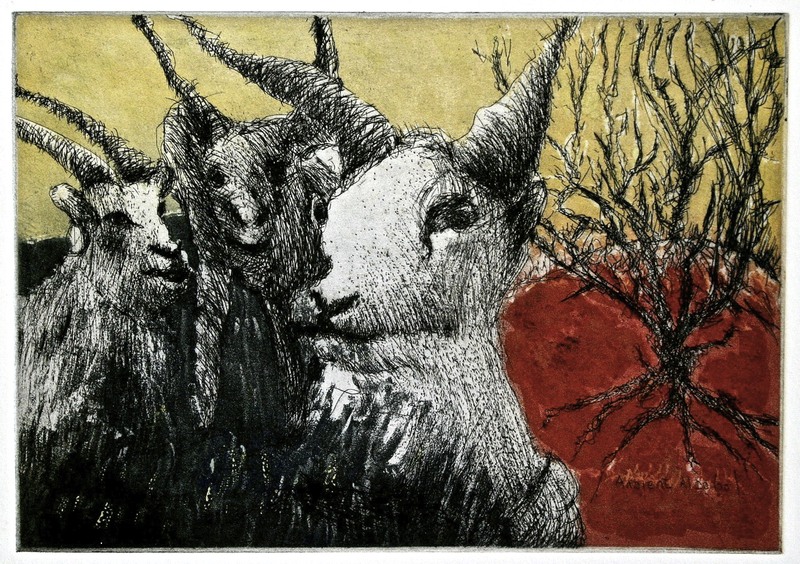 Animal, etching, 8.2 x 9.3, edition of 50.